Self-promotion is something difficult to master because for many it feels completely foreign. We don't want to come across as shameless or make people feel uncomfortable, and it just doesn't feel normal to go around tooting our own horns all over creation. With the growth of multi-level-marketing type businesses and their often icky-feeling tactics, it seems more business owners are shying away from self-promotion so they do not become THAT shameless self-promoter. Truth is, self-promotion doesn't need to be icky! Promoting yourself in an authentic way can feel natural and I'm here to give you a crash course in nailing it! We've all experienced slimy self-promotion tactics. Constant bombarding on social media, being added to Facebook groups and sold to, being flat out asked to please buy something or host a party so that someone can meet their goals. If you've ever bought a car you've likely gotten an awesome crash-course in how NOT to sell to people. A few months ago, I got a Facebook message from an old client begging me (she said "I'm begging you"!) to order $100 in It Works products, and putting a few things on auto-ship each month, because she needed to reach a goal that month and wanted help. I politely said I wasn't interested, but she wouldn't stop bombarding me with marketing images and details about products I had zero desire to learn about. It was painfully uncomfortable. Self-promotion doesn't need to be that way! Follow these simple steps to nailing self-promotion and never feel sleazy again! Let's go back to the woman who was trying to get me to help her meet her It Works quota. When she approached me, I was pregnant and was not able to use a lot of products on my skin because of that (I'm happy to report that my baby will be here a week from today, and I haven't developed any deep wrinkles despite not using my Retinol for 9 months- phew!). I also wasn't going to benefit from tummy shrinking wraps. The things she was suggesting to me made zero sense for me and no matter how many times I told her that, she just wouldn't quit. Perhaps if she'd come to me suggesting pregnancy friendly products and had listened and adapted her pitch when I gave her objections, it wouldn't have been such a train wreck (heck I might have purchased something!). It is your responsibility to know your products and services inside and out. Know their benefits, their drawbacks, who they're perfect for, and who they truly aren't a good fit for. It's important to be able to spot a potential client/customer from a mile away and be able to suggest something that makes them think: Whoa, that sounds PERFECT for me! If you start fumbling through a long list of options, many of which don't fit the needs of your intended target, you're going to look sloppy. Once you understand your products or services, you need to have a tight grasp on who they're meant for. Where does your target market hang out? What are their fears? What can you offer them that would lesson their struggles? How many objections can you predict (you need to be able to overcome these in a snap)? Why would your brand be a dream for your target market to interact with? When you understand how to effortlessly work your offerings into conversations with the right people, the conversation feels more helpful than forced. Look to be a fixer: someone who provides helpful information and resources to the right people at the perfect times! When you're nailing the timing and the offering you're seen as a mind reader, not a pesk. Self-promotion boils down to marketing, and marketing is best done with a strategic plan. Decide how you want people to view you and stick to your plan. Consistency is key! Utilize social media, email campaigns, in person networking, and your website (+ SEO) to promote your brand, and do it with intention. 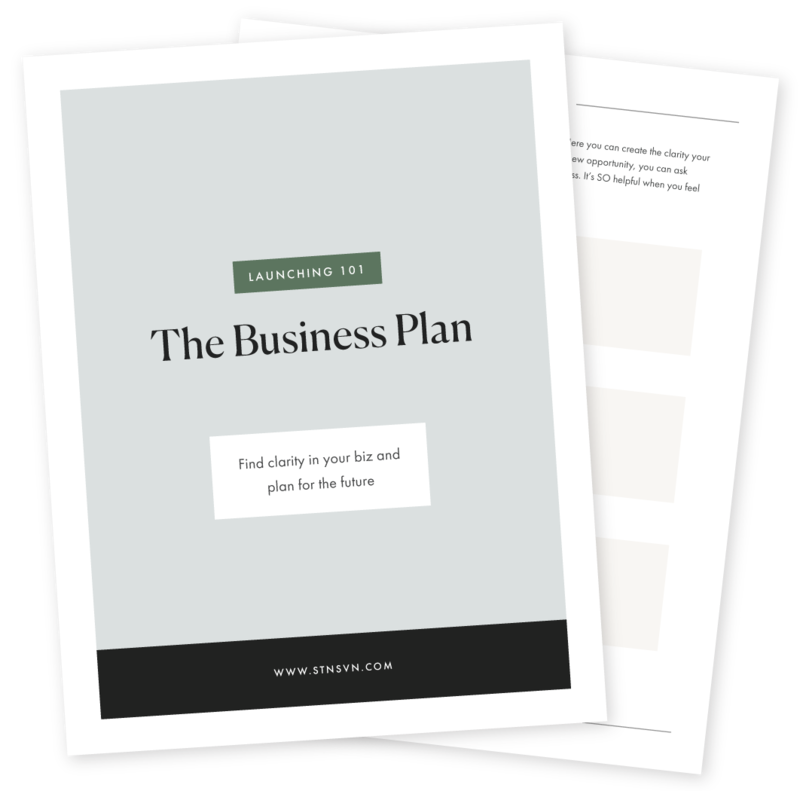 Creating strategic plans for each of these platforms will allow you to let your killer branding shine through (head here for tips on perfecting your branding) and will create moving parts that deliver resources and suggestions that feel organic. Hit social media and be helpful. Don't be that person only posting your offerings! Being all "Look at me! Look at me!" doesn't appeal to anyone. Offer resources (both your own and ones from others), start conversations, provide value, and interact genuinely with your fans. Utilize an email list to not only talk about your offerings but to provide value. Toss a helpful freebie in once in a while, share tips, show your target market that you totally get them. Get out there and network! It's all about finding the right places and people. If you're an online business, think about what communities and groups you can get involved in. Look for people that you could collaborate with. If you're a local business, check out in person networking groups (Google will be your BFF for finding groups. Check with your local Chamber of Commerce, too! ), and interject yourself into your community by volunteering, taking classes, and offering your products/services where they make sense. The more people who know what you do, the more business you will get! Sometimes the best thing you can do for yourself is to simply get out of your own way! When it comes to self-promotion, understanding that your hangups are mostly in your head is important. The more you step out of your comfort zone and start promoting yourself the less awkward it will feel. I promise! Remind yourself of all the reasons you rock. When you go into self-promotion mode with the intent of providing resources and helping people it can instantly feel less sleazy. Don't automatically assume that people will view you as obnoxious because you're mentioning what you do or what you can offer them! 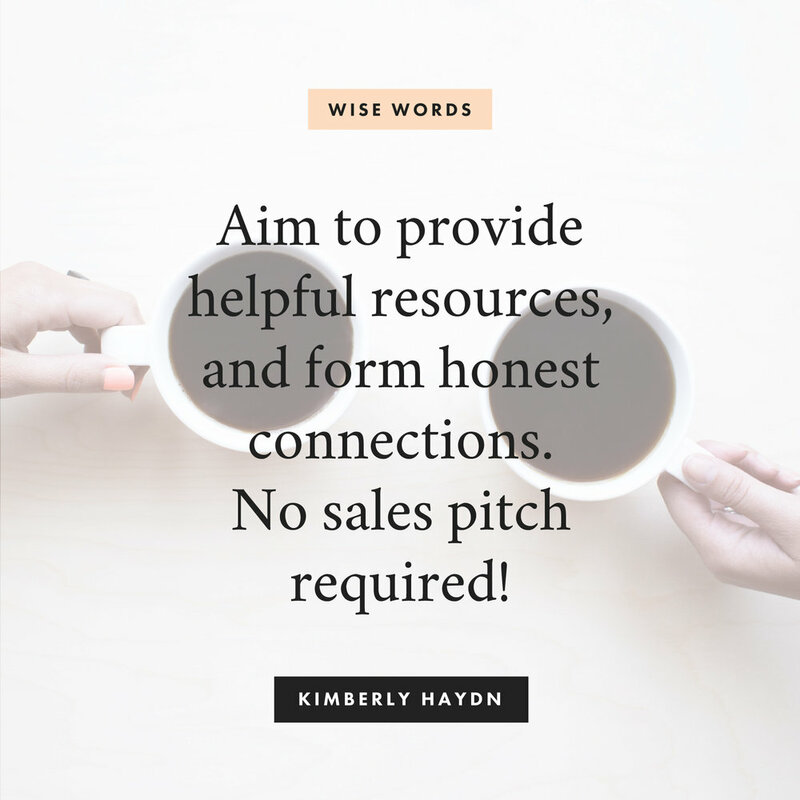 When you're truly targeting the right people and having the right conversations at the right time, they'll likely be excited to hear what you have to say! Figure out what you're so afraid of! Is it fear of failure? Fear of success? Do you worry what people will think of you? When you understand what is stressing you out about self-promotion, you can begin addressing those specific feelings and overcome them. Think about it this way: if you know you have something that would be great for someone but you don't reach out to them because you're afraid of self-promotion, you're not only hurting yourself but the person you're not reaching out to! I'm currently packing up and getting ready to move and we've decided to hire painters to get in and give our new home a fresh coat of paint so we don't have to deal with it. If I was telling a friend at dinner about my search for a great painter and the person next to us heard me and had a great painting business but was too afraid to share their information with me, they'd be potentially losing business and I might LOVE working with them! Because they don't chat with me, I might never find them, which might cause me to spend oodles of time searching or may cause me to hire another company that winds up being a nightmare! Remember that pushy sales pitch I talked about experiencing? The funny thing is that I'm actually a total skincare junkie. During my pregnancy, I desperately wanted to hear about new products I could use on my skin that wouldn't harm my baby and when someone suggested something to me I was thrilled to hear what they had to say! I bought a few products I fell in love with because they were suggested to me and I'm so grateful to the people who told me to try them! When you nail self-promotion you'll excite people with the information you bring to the table! It will feel GOOD to you and to your target market. At the end of the day, self-promotion is all about sales and marketing. If sales and marketing aren't your strong-suits, consider investing in learning more about rocking those aspects of business! Head to Google University, read some books, enroll in a course, work with someone one-on-one...whatever helps you better understand how to promote your business! When you hear the words "self-promotion" what pops into your head? Does the idea of talking yourself up give you a panic attack? Have you developed habits that help you feel good about talking to people about what you have to offer? I'd love to hear all about it, so chat me up in the comments!